Issue 17 – HackSpace magazine – Top 10 Arduino Add-ons! #1 NeoPixels ! … CRICKIT, and Adafruit Ultimate GPS FeatherWing @arduino #arduino @hackspacemag « Adafruit Industries – Makers, hackers, artists, designers and engineers! 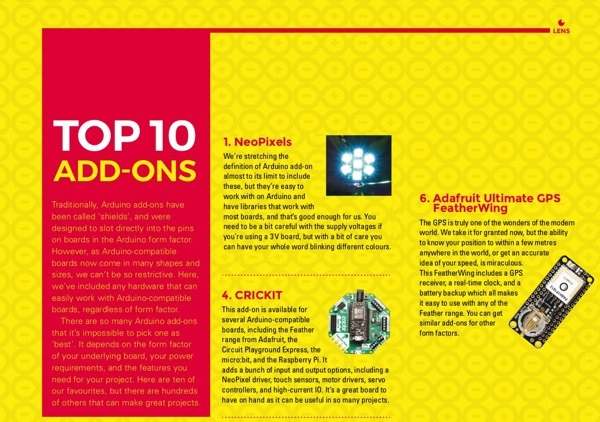 Issue 17 – HackSpace magazine featured the top 10 add-ons for Arduino, NeoPixels, CRICKIT, and our Ultimate GPS FeatherWing made the list!